If you’ve been reading my blog for long, you’ll know that my family and I are huge Rick Riordan fans. 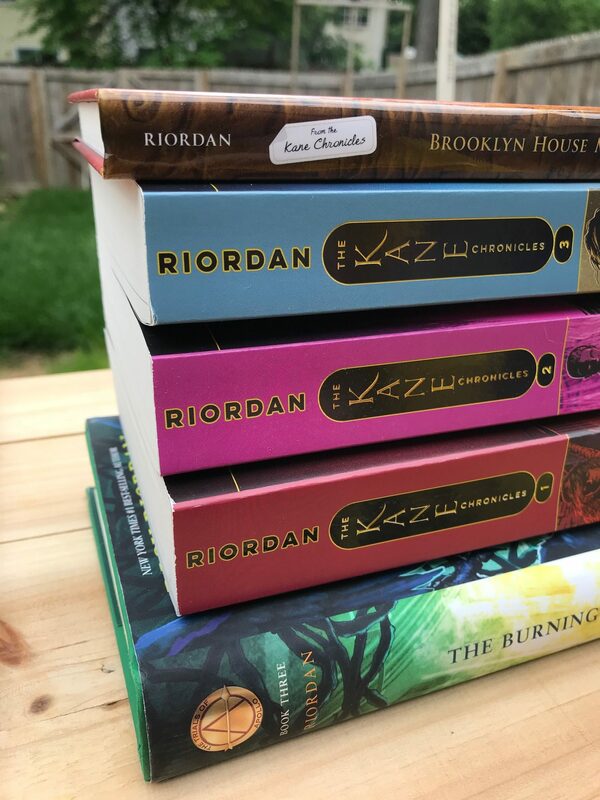 I was excited to partner once again with Disney-Hyperion for a giveaway to bring more Rick Riordan goodness to YOU, my readers! Amazon affiliate links are used within this post. Seriously, one of highlights of my career as a blogger was having a one-on-one interview with Rick Riordan last October at the library of Congress. What an amazing person! And what amazing stories. I love his books just as much as my kids do. We are all excited about Mr. Riordan’s newest book – The Burning Maze, the third installment of the Trials of Apollo series. This is PERFECT summer reading material…for reading pool-side, in the car on road trips, or when staying cool in the house next to a fan. 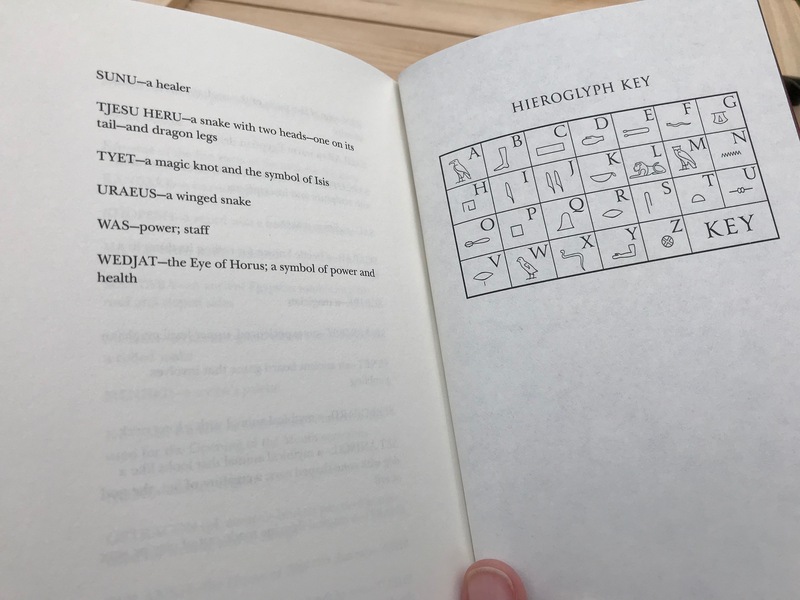 We’re equally excited to delve into a new Kane Chronicles companion book, Brooklyn House Magician’s Manual, Your Guide to Egyptian Gods & Creatures, Glyphs & Spells and More. I’ve always been fascinated by these types of books, because I tend to want to know EVERYTHING I can about my favorites stories and characters. This book is perfect for your readers who love backstories. I’m thrilled to be able to share these two new books PLUS 5 additional books with you this month! An Olympian Comes to Earth: The protagonist is nothing less than Apollo himself! Well, actually, he’s a mortal sixteen-year-old trying to earn his way back into Zeus’s favor by restoring five oracles. How will he manage without his godly powers? A Godly POV: Apollo narrates the adventure; the disparity between his godly assumptions and his disappointing reality is hilarious. Favorite Demigods Are Back! All of the beloved characters from Camp Half-Blood and Camp Jupiter will aid Apollo in his quest over the course of five books. New Demigods Are Introduced, including Apollo’s sidekick, a twelve-year-old girl named Meg who is secretive about her past—and is Apollo’s secret weapon. Viperous Villains will complicate matters for our heroes as they search for the ancient Oracles. 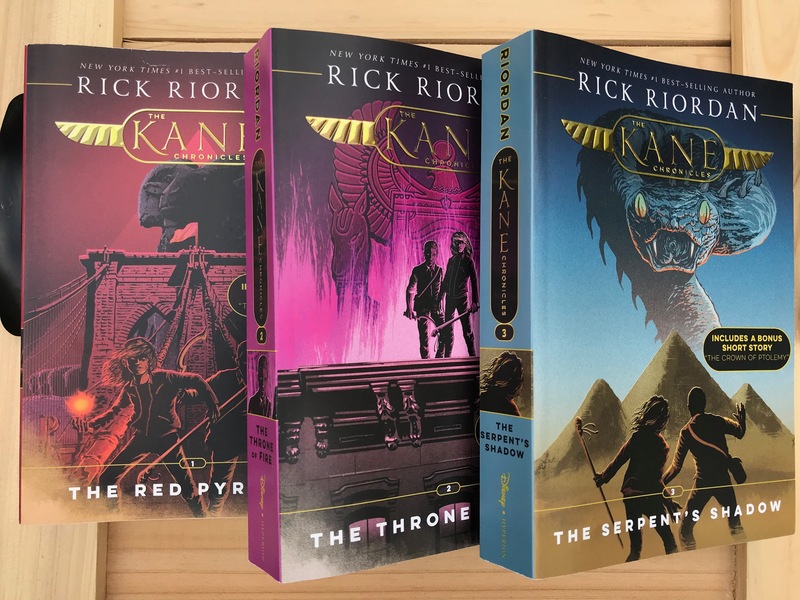 Fans of Rick Riordan’s Greek & Roman and Norse mythology adventures will love his funny and exciting take on Ancient Egypt in the Kane Chronicles trilogy, now with dynamic new cover artwork and Percy Jackson-Kane Chronicles crossover stories. One (1) winner will receive a “Summer of Magic & Mazes” beach tote plus seven Rick Riordan books! Giveaway open to US addresses only. Prizing and samples provided by Disney-Hyperion. This giveaway ends June 4 at 11:59pm ET, after which a winner will be chosen at random and notified via email. Good luck! Of Riordan’s books, I have only read the Percy Jackson series so far, so I’d probably try the Kane Chronicles next! I am excited to check out the new books. We loved the original Percy Jackson ones. My son wants to read the Kane Chronicles because he has heard kids at school talk about them. My sister is excited about the magic manual. She is a big fan. We have read all his books but the Burning Maze, so most excited for that. My kids are excited about the Kane chronicles. I’m most excited to read the Percy Jackson and Kane crossover stories!! Thank you so much!